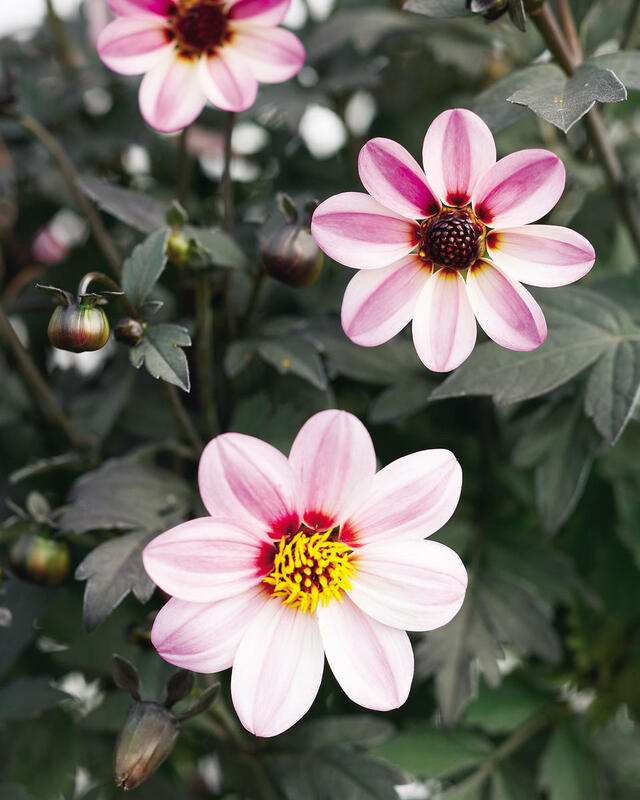 Dahlias form tubers and these tubers can be stored for replanting in the spring. To dig and store tubers follow these directions. 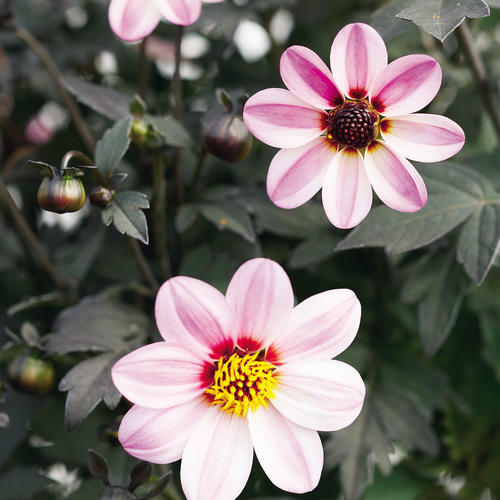 First, allow frost to kill the top of the plant then cut back the stems and dig the tubers. Wash off any soil and then allow the tubers to dry. Wrap dry tubers in newspapers or pack them in peat moss. Label each tuber or group of tubers so you know what they are come spring. Store tubers in a dark, cool (35 to 45 F) place. Do not allow tubers to freeze. Deadheading will encourage additional blooming. Lovely in a mixed partial sun bed with other annuals , including tall blue salvia, yellow lantana and blue marguerite daisies and especially chocolate cosmos. I bought them mid July, root bound but healthy discounted to help fill a new spot for the summer and they totally came through. Mid September they are blooming and growing new buds here in the Puget Sound area. I will use them again. I think the afternoon shade helps the flowers to keep their cheerful pink color. I love this little plant-we had seen the yellow version of this plant (another favorite) but this pink is really a knock out. 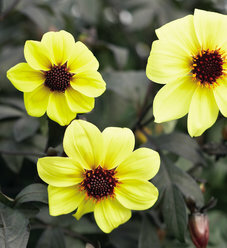 Easy to care for, easy to grow, no fuss, what more can you ask for!